Online Real Property Auctions: Too Good to be True? Home / Latest News / Online Real Property Auctions: Too Good to be True? Auctions can involve the sale of goods (paintings, furniture, jewellery etc) or real property (houses, flats, commercial premises etc). Most people are familiar with a traditional auction where members of the public attend at the sales room to bid for items (‘lots’). For many years auction houses like Christie’s and Sotheby’s have held high profile auctions of goods and accepted bids not only from persons present in the auction room but also by telephone and online via the internet. Historically, online or internet bidding has not extended to auctions of real property because of the special rules relating to the formation of contracts for the sale of land. However, certain auction houses are now auctioning real property online, and further, doing so without any physical presence from any member of the public. In effect, an online virtual auction room. 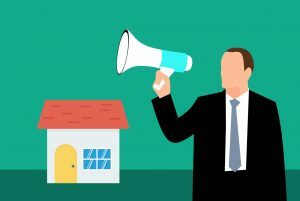 It is very early days for online real property auctions and there is no definitive legal commentary available but our advice at this stage is to be very careful about selling your property by this method. The firms offering these services are very unlikely to have any physical presence in the area where the property is located so who is marketing the property to promote interest, carrying out viewings, and dealing with keys on completion. You will never see the bidder who may not have the funds available to complete the purchase and if the bidder is resident abroad you will have little recourse other than to put the property back on the market. A traditional auction involves the bidder attending and, if successful, to produce identification evidence and to pay a 10% deposit immediately. There is still a chance of default, but the risk is arguably much lower. The cost of a traditional auction, commonly 1.5% of the sale price, is borne by the seller. Online auctions are placing the costs on the buyer which is superficially attractive. However, auction houses are charging non-refundable ‘reservation fees’ of anything between 2.5% – 4.5% of the sale price. So on the lowest rate of 2.5% on a £225,000.00 property, the buyer would pay an additional fee of £6,750.00 (including VAT). This could prove a significant disincentive to prospective buyers. It can be particularly disadvantageous for lower priced property where auction houses use minimum reservation fees which can represent a disproportionate amount of the purchase price. We have seen examples of minimum reservation fees of £6,000.00 (inclusive of VAT) on a flat sold for £48,000.00 being an effective commission rate of 12.5%. In summary, think carefully about whether an auction is the right method of sale for your property and, if so, whether an online auction is the best option or whether you would be better proceeding by way of a traditional auction with local agents. For more information or advice on purchasing or selling property, get in contact with the Property Team by calling 01934 623501 today.